Conceptualisation of the plan of setting up a special school can be very easy, but fulfilling the further formalities to comply with the regulations can be an arduous task to execute. Autism Spectrum Disorder (ASD) is a neurological disorder that affects the normal functioning of the brain, impacting development in the areas of social interaction and communication skills and sending an autistic child to school can be difficult. Integrating an autistic child into a regular classroom can be a challenge for the teachers and other students to deal with. A large number of professionals and NGOs in India are working in order to bring classroom teaching and training for these special kids. Setting up a special school for these kids requires a lot of efforts and responsibility. Conceptualisation of the plan of setting up a special school can be very easy, but fulfilling the further formalities to comply with the regulations can be an arduous task to execute. Children with autism require special attention and a lot of factors are to be considered regarding the kind of environment which is being provided to the child. Here are a few pointers to help set up a special school and overcome the hurdles you may face during the process. Starting a special school is a big responsibility, especially for autistic children. Forming a school requires a lot of formalities, which is quite a difficult task for an individual to carry out. Hence, it is a good idea to set up a team before initiating things further. Build a team with varied experience, where every member with their expertise can bring something new to the table and let you focus on other important aspects such as land or building. Having a proper team is very important as it decides the fate of the organisation. Furthermore, you are required start a registered trust or society under which the educational institutions are allowed to function. Providing proper infrastructure to the children is also an important factor which is required for the children with special needs. For providing infrastructure, a huge investment is required in terms of land and building which is not available easily and the rates at which these are available also are exorbitant. It is a problem that nay NGOs face at least in the early stage of set-up. Buying a land is itself very painful and the cost required for construction makes the situation worst. The funding of the same can either be done through the personal resources of the society/trust members or through charity money received from donors/government funds; getting access to which can again be a huge task and which also requires finding the right team which can help you to get to the right people willing to donate. Moreover, there are government policies that offer rebates and lend money for similar purposes. Every year government declares specific budget for the development of NGOs in the country in order to help children suffering from autism or any other disability. Special Educators play a key role in the learning process of children with special needs. It requires special training and expertise to teach these kids, that being the case they need a help of highly qualified professionals who understand their needs and build the curriculum according to the needs of the child. Finding the right person could be a challenge. The organisation needs to build contacts with specialists and people to have a knowledge sharing platform which will in turn help in the learning process of the child. The organisation also needs to have processes in place which can be created through learning and experience which will also help any new special educator to first get trained and then work with the child. It also helps in keeping a control on the quality of education provided. There are many volunteers who would want to work with children with special needs. Having volunteers in your team also helps you have extra help within your setup and they also work as advocates for the children in the society to create awareness. Another challenge is to convince the parents of children with special needs about special schools as they want their children to go to a regular school. It is required to counsel and educate the parents about the skill sets of the child and the infrastructure available according to the needs of the child. Building a right curriculum for these students can be a tedious task as the abilities of each special child are different and the curriculum has to be designed according to their abilities. 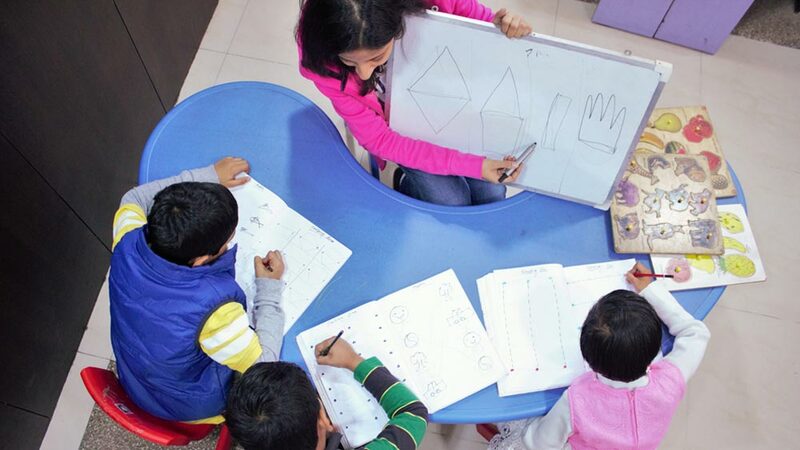 The curriculum has to be designed along with the support of different interventions like special education, occupational therapy, speech & language therapy, study & play therapy and behaviour modification therapy. Apart from the curriculum building, the team also needs to be clear about the long term goals which can be achieved according to the abilities of the child and should be open to challenging the limits which the child can achieve. The bigger challenge is to do justice to the abilities of special children without wasting their time. The children are to be provided support so that they are able to reach to their maximum potential. One should not enter this profession only with the mindset of making money out of the entire process and should be able to build trust and credibility among people by keeping the needs of the child first. To showcase the cause and to motivate others to contribute, you should be the catalyst to bring about a change. Surabhi Verma is the Director & Founder of Sparsh for Children and works with children having special needs. She has been working with children with different abilities since 2002. Over the period of time, she has found her niche working for children with Autism Spectrum Disorders and Dyslexia. She has worked with various hospitals and Therapy Centers as a Consultant before founding Sparsh for Children in 2005. Evolving e-Learning Trends in Education Sector.. Creating a Bespoke Customer Experience..
Demand of Mental Healthcare Professionals in India..
How to Become Organic Products Distributor..
4 Beverages Trend for 2019..
Top Educational Marketing Trends For 2019.. Mother India Restaurant Drops Plastic Straw.. Hottest Trends In Beauty Industry in 2018..
AI and Robotics Creating Job Opportunities..
Cuemath: A Startup Simplifying Maths across India.. It's Time For Transformative Learning.. Recruiting Right Chef for Your Kitchen..
Making Education Smarter for Children..
3-Dimensional Education Is the New Way..
Hurdles of The Indian Ayurveda Industry..
Tick-Off These Points to Start eCommerce Biz..
FranGlobal launches Dipsidoo in India.. Creating Business Out of Words & Thoughts..
Singapore-Based Oh My Goodness to Enter India..
Providing Business Opportunities in Tier-III & Tie..